Baby Products and Equipment / Baby Set Melamine Glori Melamine SET.001.BM - Light Blue Suitable for serving Porridge, Soup, Nasi Tim, can also be a gift or special gift for the baby. Specially designed for your baby for easy grasping. 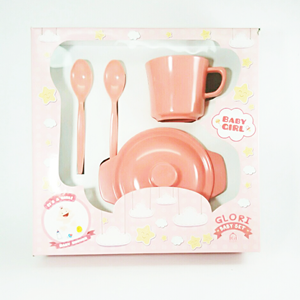 Baby Products and Equipment Baby Melamine Set (Baby Diaper) Glori Melamine SET.002.BM Pink - This Baby Eat / Baby Set Pink can complement your dining table. 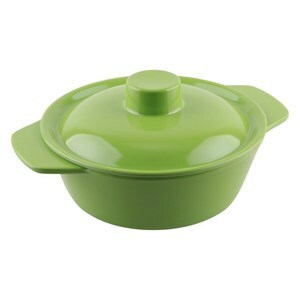 Suitable for serving Porridge, Soup, Nasi Tim, can also as a gift or special gift for the baby. In special design for your baby for easy when grasping. In the event of a delivery error, the first thing you should do is report to our customer service immediately. Inform your Order Number, your personal data, the delivery errors that occurred, and the goods you should be getting. This delivery error will be resolved soon. For the baby surely parents especially mothers will always try to give the best. Baby's development and growth is a major concern for Mother. Feeding needs for the baby to be one of the main things that must be considered. Starting from food that the baby ate or a place to eat used to eat the baby. Foods with complete nutritional content will make the growth and development of the baby's brain so much better. For that to be a smart mother in choosing baby supplies. Infant feeding is usually used for infants aged 6 months and over. Choosing a good place to eat and quality should also be a consideration. Do not just buy a place to eat because the price is cheap, because it is not necessarily safe for your baby. Make sure the feeding material does not contain harmful chemicals for your baby such as dyes or other harmful chemicals that can be mixed with the baby's food. The completeness of the baby's feeding area includes forks and tablespoons. Glori Melamine is the largest and most comprehensive manufacturer in Indonesia. Glori Melamine sells cheap baby gear and varied models. The price of baby gear at Glori Melamine is guaranteed to be the cheapest. Buy baby supplies in Glori Melamine is very easy and does not need complicated from the selection of goods to the payment system. Some payment systems offered by Glori Melamine to facilitate customers such as bank transfer. Immediately buy baby supplies only at Glori Melamine and get discounts and other exciting offers. # Baby Products and Equipment - Unique Baby Eater. Buat Permintaan Untuk "Baby Set"